J210 News Photography and J213 Advanced Documentary Photography are taught every semester, as well as a workshop-oriented class that gives students practical experience shooting and and composting photo essays. Does the idea of receiving one-to-one mentoring on your project and producing a professional portfolio appeal to you? 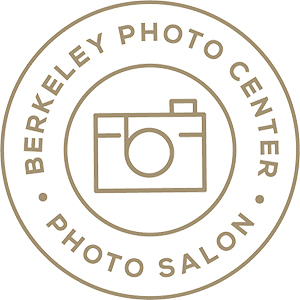 Berkeley Project & Portfolio Center may be just what you need to get your creative juices flowing. We help you define and refine your ideas, and lead you through the editing process to create a solid body of work worthy of printing for a portfolio, exhibiting, or publishing on your website. The Photography Department offers a curriculum that prepares students for employment in the expanding and ever changing photographic profession. In addition to teaching job skills the program develops the creative and critical thinking potential of students. The program also offers those already employed in the photographic profession opportunities to update both technical and esthetics skills. These courses guide students toward transfer to four-year institutions, associate degrees, vocational training, and certificate opportunities for lifelong learning. The Associate of Arts in Photography provides students an in-depth study into the practice and critical discourse of photography, photographic seeing and lens-based culture as a visual document of creative expression and communication. The fundamentals of analog and digital photography are set within a series of foundation, intermediate and advanced courses which reference the rich history of the medium as well as contemporary practice, providing students the opportunity to define his or her path whether it is transfer, career development and/or personal enrichment. The Photography program at CSULB emphasizes fine art photography and its central position in contemporary art practice. The Program is in a period of growth and expansion, having hired two additional Full Time Professors in the past four years. While maintaining a commitment to traditional techniques and approaches, Photography is also invested in the area of digital applications. The large black-and-white darkroom, color printing area and digital print facilities support students with a wide range of interests and concerns. Each semester, the undergraduate program supports an average of two hundred fifty students, with approximately sixteen specifically pursuing a B.F.A. with a major in photography, and several graduate students. The extensive course offerings include such topics as advanced black-and-white printing, color photography, digital photography, studio practices, a theory and criticism seminar, experimental approaches, and Special Studies in Art Photography, a senior level in photo-based art making. Independent Studies are also available, allowing for students to work independently under the supervision of one of the professors in photography, who are all working artists with extensive resumes and experience. The Program is enriched by the Department's distinguished guest artist and speaker program, its on campus art museum, its excellent student art galleries, and its proximity to the many museums and galleries in the greater Los Angeles area. The mission of the Photography Department is to provide superior instruction in the use of photographic techniques for vocational, general education and transfer students. A photography major will provide the student with a strong foundation in aesthetic principles as well as an extensive range of practical photographic techniques needed for college transfer, entry into the photographic workplace or for artistic expression. Course work includes traditional processing and printing, digital photography, color photography, studio lighting, experimental processes, photo criticism and portfolio preparation. Students are encouraged to develop a personal, expressive style, achieve technical excellence and examine photography’s role in society. Fine Arts students thrive in an environment of creative freedom and strong support from a range of faculty members who are internationally exhibiting artists. Students learn the basic premises and key skills in each medium, and explore these in more depth in elective classes. The emphasis is on "making," and each student receives a studio space. Graduates have developed a sense of personal mission, and understand the value of their work as artists in the world. Included with Full Enrollment of MFA, BFA, TWO-YEAR & ONE-YEAR PROGRAMS, you will receive a FREE State of the art Canon 6D or the Nikon D600 allowing you to take stills and HD Videos, and that you can take with you when you complete the course. The New York Film Academy’s Photography School offers hands-on immersion programs that equip students to become working professionals in the creative world of still photography. Our Philosophy Our photography schools philosophy is simple: we train students to produce consistently excellent work on-demand. We give you the tools to achieve your personal vision through photography, and the guidance on turning your passion into a profession. 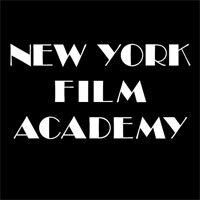 What makes New York Film Academy Different? Our students say it’s the clear, practical quality of the instruction; the supportive, no-nonsense environment; the hands-on classes; and the chance to practice every major genre of photography with aesthetic and technical guidance from world class instructors -- all while shooting in some of the most exciting locations in the world. Students also mention how working in a collaborative learning environment with classmates from all over the world is a life-changing experience. Perhaps most importantly, students leave the New York Film Academy with a portfolio of spectacular images, technical expertise, sophisticated aesthetic sensibilities, and a practical understanding of the business of photography. The MFA program offers six areas of specialization: Ceramics, Interdisciplinary Studio, New Genres, Painting and Drawing, Photography, and Sculpture. These studio areas are supplemented by seminars and lectures in contemporary critical theory. The program emphasizes the development of a sustained artistic practice through exploration, experimentation, and intensive studio work and study. Opportunities to investigate areas beyond one's concentration are made available. Maximum time is allowed for independent studio work, enabling students to work with up to three faculty members each quarter on an individual basis. Reviews of graduate work in the winter and spring quarters serve as a forum for critique and discussion with the entire faculty. The MFA degree normally requires two to three years of residency and culminates in a graduate exhibition. Our mission is to ignite youths’ imagination, mentor their creativity, and expand their sense of possibility through high quality, accessible media–based arts education programs. Our programs also serve as a catalyst for people of all ages, living in low–income or underrepresented communities, to create and share personal and community stories through photography, film, and multi–media. The Photography Department at Napa Valley College provides instruction in the use of traditional and contemporary photographic techniques. Majoring in photography with a​n emphasis in traditional or digital imaging will provide the student with basic aesthetic principles as well as an extensive range of practical photographic techniques needed for college transfer, entry into the photographic workplace, or for artistic expression. The Photography Department provides students with the basic knowledge, technical and aesthetic skills necessary for employment in various occupations in photography. Preparation for employment in commercial, industrial, technical, and scientific fields is emphasized. Intermediate and advanced classes include both film and digital applications. 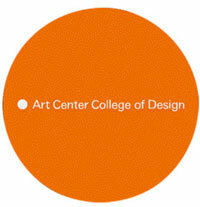 The Art Department at MiraCosta College is the place to get your start in a comprehensive fine arts program. Designed to accommodate those just entering college as well as those returning, our offerings incorporate a diverse range of skills and creative strategies to help you extend your abilities and visual perceptions. All of our faculty are active, practicing artists in their areas of expertise. We welcome students of all backgrounds to participate as art majors or academic explorers in any of our disciplines. Our courses provide a strong foundations curriculum that applies to any art related field. Also, as many of our studio classes are multi-leveled (repeatable up to three times for credit) you also have the opportunity for more in depth development! Our two-dimensional studio program includes classes in Drawing, Painting, Life Drawing, Design and Printmaking. If your interests are three-dimensional, we offer a selection of courses in Sculpture, Ceramics and Woodworking/Furniture Design. Our Photography program offers courses in Beginning, Advanced, and Digital Photography. In the Electronic Arts, our digital media classes are in high demand. Presently they include Introduction to Digital Imaging, Adobe Photoshop, and Advanced Photoshop. The Art History track provides a series of transfer level classes that takes you from Ancient Art to Gothic, Renaissance to Modern, or Modern Art. Additionally, the Traditional Arts class introduces students to non-western art and Art Orientation provides a basic survey of art and its practices. Within a rich transdisciplinary educational environment, the Photography and Imaging Department is taking photographers into the future. Our strong relationships with industry, long tradition of integrating photography with other design disciplines, and deep experience designing new technologies and applying creative solutions to social impact problems have opened professional doors for countless graduates. Art Center offers an intimate and intense atmosphere of study that challenges assumptions about our medium, nurtures and promotes originality, and encourages individualized practice in student work, whether your goal is to become a commercial photographer, an artist, or both. Here, you learn to apply the tools of photography—traditional and digital—in a specific and personal investigation of cultural conditions or questions. Our program stresses conceptual development and social awareness aligned with the integration of professional technique and strategies, in the development of a dynamic career in image making. Images are the new global documents. They represent a new literacy and currency of this time, and will continue to be the most essential component of compelling stories in a world with an insatiable need to be informed. As one of the most respected studio art programs in San Diego, you will work under accomplished and knowledgeable studio professors who showcase their own work on a regular basis in notable art museums and galleries. The number of PLNU graduates going on to MFA programs exceeds the national average. Of those who received MFAs in the last five years, 80 percent did so at institutions consistently ranked among the top 10 MFA programs in the country. PhotographyMyWay is a photography education alternative to lengthy classes at colleges and or universities. We want to help you learn the ins and outs of your specific camera to take better pictures. Whether you are a photographer wanting to improve your skills to make more money, or a first time camera owner that wants to learn how to operate a Digital SLR, we can help! In our photography classes and workshops we will help you become the photographer and artist you’ve always wanted to be, but haven’t had the time to go back to school for. Our hands-on, practical approach to teaching gives you the opportunity to develop the skills you need at a comfortable pace. Like the city it’s called home since 1929, Academy of Art University has always existed on the vanguard of innovation and creativity. The Academy and San Francisco have grown up together and served as mutual sources of inspiration and talent—take a look back at notable moments in the Academy’s history in San Francisco. Turn your passion into a career. At the Academy of Art University’s School of Photography, you have every opportunity and resource to advance your passion into a finished body of work. Learn from a faculty of working professionals and begin your new adventure today. In our Photography Program, you’ll discover inspiration all around you, whether you’re capturing the small, human details of everyday life or exploring larger, abstract ideas about culture and identity. As you map this creative territory, you’ll also be developing your technical digital and analog skills. You will make images that have a real impact on your personal and professional communities. Envision a New York Times photo editor critiquing your digital images. Or a world-renowned photographer from The Smithsonian leading your large-format workshop. With personal instruction from Photography faculty members like these, you’ll hone your photographic perspective as you perfect your vision. And with the latest high-end digital cameras, a traditional black-and-white darkroom, and a full range of current equipment for experimental printing processes, you’ll practice making art that matters every day. Acclaimed visiting artists, including photographers with permanent collections at San Francisco Museum of Modern Art and other art institutions the world over, will inspire you and help you network. And with ongoing internship opportunities at Bay Area photography studios, art galleries, and magazines, you’ll carve your niche within the photography community -- and your path to a fulfilling lifelong career. SFAI’s photography program asks students to unite strong ideas, technical mastery, and personal meaning, emphasizing the complexity and possibilities of this evolving medium. 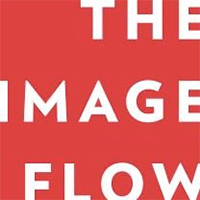 The visual language of photography is central to our understanding of the world around us, and SFAI’s program considers photographs both as formal objects and as modes of communication, documentation, expression, and critique. As students work inside and out of the studio, they consider questions central to the history and future of the medium: What characterizes a particular photograph as art? How has photography reproduced or challenged what is thought of as real or true? How has the digital revolution impacted the practice and interpretation of photography? What emerging technologies will shape 21st century image-making—and what historical methods offer unexplored potential? Established in 1945 by Ansel Adams and Minor White, SFAI’s Photography Department was the first in the country dedicated to fine art photography, and the program continues to engage with aesthetic, theoretical, and technical issues surrounding contemporary photography. With the freedom to pursue independent projects in both analog and digital formats, graduate students take approaches from personal narratives to documentary work to experimental abstractions. SFAI’s interdisciplinary emphasis encourages students to draw from areas such as film/video, printmaking, design, performance, and writing to imagine new forms of production and display. The Bay Area offers many resources to enhance a photographer’s practice. SFMOMA, the Bancroft Library at UC Berkeley, The Pilara Collection, the Prentice and Paul Sack Collection, and the California Historical Society have extensive photographic holdings, and a large number of galleries exclusively show photo-based work. 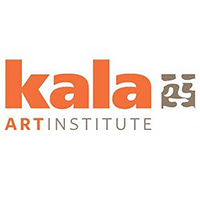 The organization Photo Alliance also programs a lecture series that brings nationally known photographers to San Francisco. Are you looking for media arts schools and programs in the San Francisco area? Consider The Art Institute of California—San Francisco, a campus of Argosy University. As a media arts school, The Art Institute of California—San Francisco, a campus of Argosy University can offer you a variety of programs to pursue. Media arts school graduates bring music, movies, Web sites, video games, and more to our lives. A media arts school could be for you if you are creative, imaginative, detail oriented, and ready to learn technical skills. At a media arts school, you can learn to combine your creative talent with technical skills to create functional works of art. Our media arts school is designed to teach you to use design to communicate your ideas to the world. 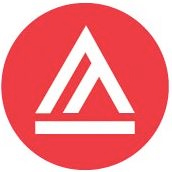 So end your search today for media arts schools and programs with The Art Institute of California—San Francisco, a campus of Argosy University. 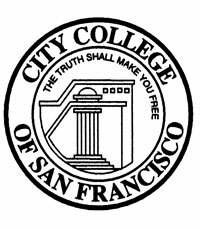 The City College of San Francisco's Photography Department is one of the oldest and largest programs in the country with over two dozen courses and more than thirty Instructors. We offer a broad selection of classes including but not limited to History and Aesthetics of Photography, Advanced B&W Darkroom Techniques, Advanced Studio Lighting, Digital Imaging, Mixed Media and Business Practices of Photography. Our faculty and staff consist of experienced professionals who create an environment that encourages creativity, technical aptitude and critical thinking. Whether your interest is as a fine artist, commercial photographer or enthusiast, we will provide the means and guidance that will help you achieve your goals. Become a Professional Photographer or Start an Exciting New Hobby! The "Professional Photography Course" is provided online. You study at home, in your own time and at your own pace. Cutting edge online diploma course in photography. Exclusive Facebook group with over 10,000 students worldwide. Student discounts on all Adobe products. Located within the Department of Art and Art History, the Photography Program at San Jose State University is the largest in the California State University system and one of the largest in the Western United States. Our curriculum engages students in a diverse range of contemporary practices in the medium, from traditional silver-based photography and historic alternative photo processes, to innovative approaches to digital and video imaging. In addition to our emphasis in photography as a fine art, our program also includes a strong commercial photography component, a feature that makes our undergraduate program unique. To find out what is currently going on check out the blog for current and upcoming gallery shows, photography shows around the Bay Area, and upcoming photography lectures. Cal Poly’s Art & Design Department prepares students to explore the world in unexpected ways, to develop a discriminating eye, and to take calculated risks through dynamic visual expression in a range of media. With 17,000 square feet dedicated to making art, students have space to pursue concentrations in graphic design, photography and studio art. 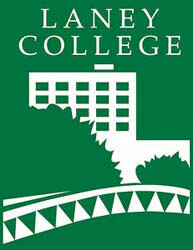 San Joaquin Delta College is a community college in Stockton, California. The Major in Photography is designed to develop a strong base of knowledge and skills that will serve as a foundation for further study and/or pursuit of a career. The Associate in Arts in Photography degree requires completion of the AA-GE pattern (24 units), CSU-GE pattern (40 units), or the IGETC-CSU pattern (37 units). 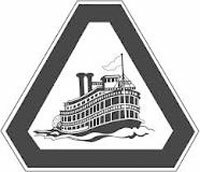 Students are encouraged to see a counselor for assistance in developing an educational plan that will identify the lower division major preparation and general education coursework that corresponds to the intended major and specific transfer institution. Students should consult www.assist.org for current course articulation in their major. The Program in Photography and Media is committed to educating independent artists in a world where photographic imagery and new media representations and strategies are omnipresent. From foundation work through graduate studies, courses are designed to challenge conventional notions of artistic practice and to question the position of representation within contemporary culture. The program encourages debate and experimentation, since nothing is stable or even particularly comfortable in photography's relation to the other arts-especially in an environment that includes so many new practices. The faculty represents a broad range of those practices, some purely photographic, some entirely digital and others branching off into writing and publishing, painting, video, filmmaking, assemblage, net art, digital media and installation. The Program in Photography and Media offers a four-year BFA in Photography and Media, as well as a two-year MFA in Photography and Media.